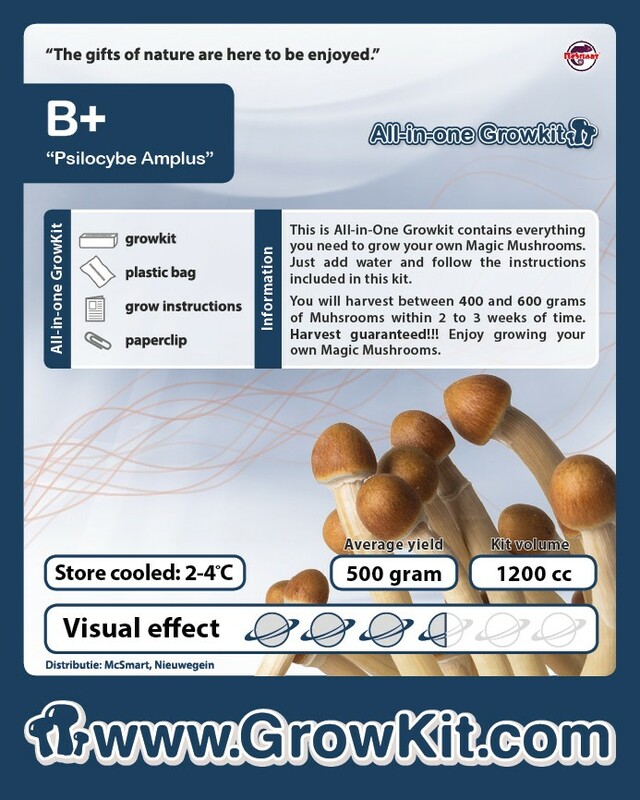 The B+ is one of the newest mushrooms on growkit.com. The B+ is famous because of his big mushrooms. It’s a large and strong mushroom and it gives a nice intense trip.